BAR F1 Honda Team Polo. 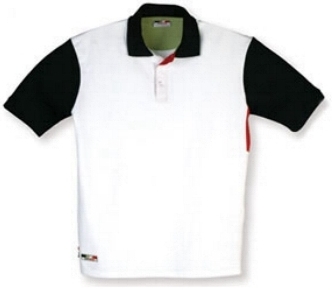 This 100% cotton polo features contrast sleeves and inner placket. The team badge is featured on the bottom left of the garment and co-ordinates with the team trim on the right. With side vents and lowered hem to back. This classic shirt is a definite winner!